The Denby Dale Parish Countryside Project aims to provide people with opportunities to engage positively with the local environment. To support this the Parish Council’s Countryside Officer, David Wilde, has extensive experience of working with volunteer groups, (Eco)schools and most recently with the RSPB. This was at Old Moor Nature Reserve, in the lower Dearne Valley and he has know moved upstream towards the river’s source, rising in our parish. Whilst focusing locally, he aims to link this work with that downstream, using the natural wildlife corridor of the river and partnering with, for example, the Yorkshire Wildlife Trust and the Dearne Valley Nature Improvement Area. More locally, the project aims to involve the community in the sustainable planning, development, promotion and management of countryside recreation within the Denby Dale Parish. It is particularly concerned with improving countryside access, developing urban green space and wildlife conservation; promoting environmental education and awareness of environmental needs. Through developing this partnership with the broader community, the project aims to establish a more vibrant environment within the Denby Dale Parish which will contribute to the long term sustainability of the countryside and a broader understanding of the needs of local residents and wildlife, today and in the future. The countryside project is able to help local people develop their interest in the environment, be it from a piece of neglected land on their doorstep to the management of woodlands, meadows or wetland features. If you feel the same way about the Denby Dale Parish and its environment, you could play a part in developing the natural beauty of the parish. The Trust was formed in 1997 as an independent registered charity. It aims to support and facilitate community environmental activity which works to conserve, enhance and sustain the natural and human environment of the Denby Dale Parish. Kaye’s Millennium Green came about as a consequence of the benevolence of a local family combined with the support of many local organisations. For more information, please view the Kayes Millenium Green website. The Group was formed in 1997 as the result of an initiative between the Denby Dale Countryside Project and the owners of the woodlands, Hepworth Building Products. 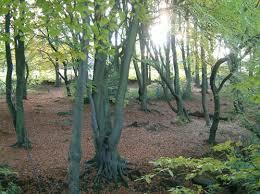 For more information please visit the Upper Dearne Woodlands Conservation Group website. The Denby Dale district, a large area including 12 villages and with a population of some 18,000, is an area of beautiful countryside with an excellent network of footpaths which have been less well-known than they deserve. In April, 2009 the Parish Council, at the request of local residents, formally agreed to support the independent “Denby Dale Walkers are Welcome Group”, who aimed to encourage both local people and visitors from further afield to explore our area on foot. This group (with the help of modest matched funding from the Parish Council) won a substantial grant from the East Peak Innovation Partnership (see www.epip.org.uk) to produce 14 trails covering the whole of our area, each with an accompanying leaflet also available electronically from their new web-site. As well as route directions, the leaflets include information on local history and heritage and on public transport and local facilities. The trails are properly way-marked, with improved stiles, gates and seats and are maintained by volunteers on an “Adopt-a-Path” scheme overseen by our Countryside Officer. There is some fantastic countryside around Denby Dale and the surrounding villages. 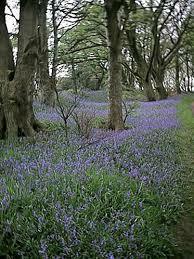 Click on the links below to download walk trail leaflets. There are many cycle paths around the parish. For further details about cycling and where to cycle in Kirklees, please follow these links.